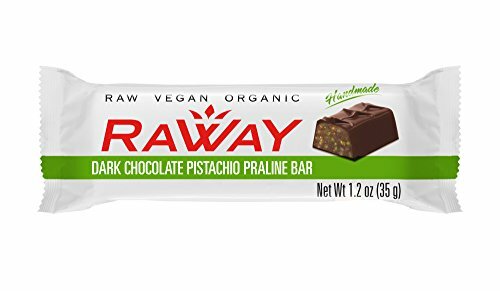 RAWAY chocolate is free of artificial ingredients, refined sugar, agave, dairy, gluten, soy, and GMO's. Handmade. Neither cooked nor heat-treated, preserving the enzymes and nutritional integrity of the raw ingredients. Luscious pistachio nut butter center covered in Raway signature dark chocolate. Every bite delivers a burst of bold flavor and smooth texture, guaranteed to please. If you have any questions about this product by Raway, contact us by completing and submitting the form below. If you are looking for a specif part number, please include it with your message.